A firework with a difference! Not on my Watch starts fast and furious from the beginning before slowing down to a steady pace before increasing for the finale. The list of effects and colours is huge including Blue Stars, Gold Glitter comet tails, Red Strobes and many more. 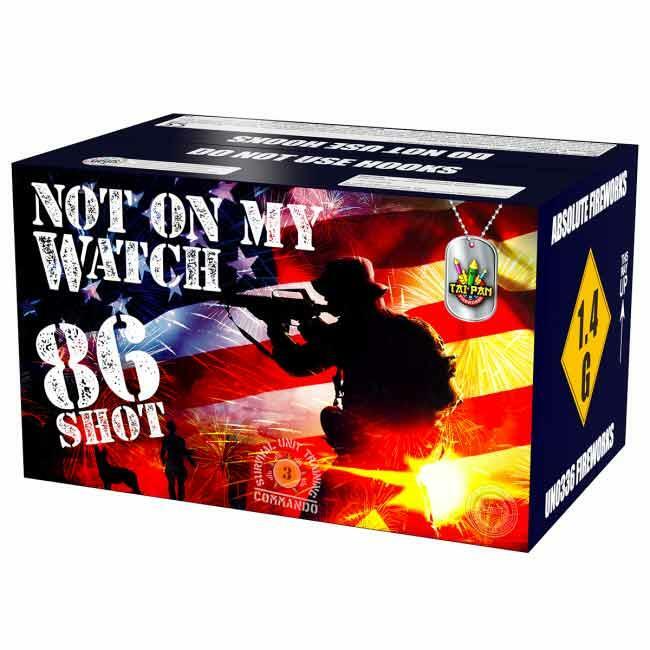 Excellent value and an amazing 86 shot display in a box.